Kuwait on Wednesday called on Iraq to cooperate with Iran in customs duties, hoping to solve the issue of compensation and property soon. 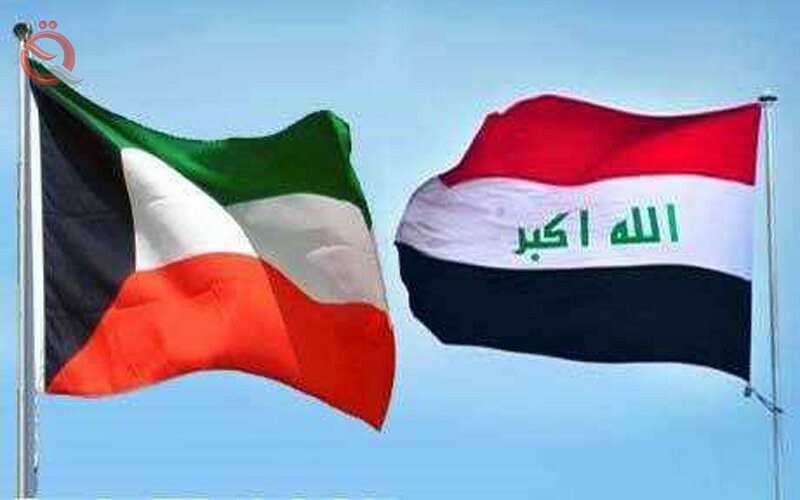 "We hope that Iraq will deal with Kuwait as well as Iran and other neighboring countries in terms of customs duties," the head of the chamber of commerce and industry, Ali al-Ghanim, was quoted as saying during a meeting with the head of the Iraqi businessmen union in Basra. Al-Ghanim added that "the two countries have historical ties, and the Kuwaitis have not received their property in Iraq for 20 years, and the desperation of some of them to sell at cheap prices, despite the assurances of the Iraqi side that the property registered in the taboo guaranteed," and hoped to "dissolve The subject of compensation and property soon because the goodwill of the Iraqi side exists to do so. Al-Ghanim said that "the Kuwaitis are not satisfied with the economic situation in Iraq," calling for "the need to develop relations during the next period by giving up the past." Chairman of Kuwait Chamber of Commerce and Industry Ali Al-Ghanim stressed on the need to develop relations between Kuwait and Iraq in the coming period by giving up the crises of the past, indicating that the Kuwaitis are dissatisfied with the economic situation in neighboring Iraq and sincere intentions to take solutions. Always to calm the situation between the two countries. Al-Ghanim said that Kuwait is keen to develop relations in Iraq, by involving the private sector to invest in Iraq, stressing that Kuwait has historical ties with Iraq, especially with South, expressing his happiness to reach solutions to some of the common files between the two countries. Al-Ghanim pointed out that the discussion session, which was held frankly between the two sides, indicating the continuation of elements of love and affection between the two countries to consolidate the status of Iraq in Kuwait, indicating that a final solution with the problems in Basra will promote the payment of solutions within the rest of Iraq, Between the two countries are moving in stages and will be reflected on all issues. He explained that the Iraqis have suffered a lot because of the former Iraqi regime, they understand Kuwait's positive role towards them, noting that the horizon of Iraq is broad in a large number of areas for investment, while the Kuwaiti private sector strongest in the region. Al-Ghanim wished that Kuwait's private sector investments in Iraq would be concentrated in the coming period, given the strong ties between the two countries, pointing out that the stability of Kuwait is stability for Iraq and vice versa. He pointed to the strong economic conditions in the past, where Kuwait's imports of 60% of the foreign re-exported to Iraq. During the meeting, Al-Ghanim said that good will exists for cooperation between the two sides, stressing the support of His Highness the Amir and the government to activate future relations between the two countries. He explained that the history of commercial relations between Kuwait and the city of Basra in particular dates back to the beginning of the last century, and has a social and cultural specificity due to the proximity of the distance, stressing the keenness of the Chamber to consolidate the common economic relations. He pointed to the official and commercial visits and the impact it will have on activating trade and investment cooperation. He explained that the Chamber is ready to provide its services to Iraqi business owners, provide all information that will facilitate their business in Kuwait, and establish trade and investment partnerships with their Kuwaiti counterparts, thus enhancing the trade exchange between the two countries. For his part, said the head of the Federation of Iraqi businessmen in Basra, Sabih al-Hashemi, that the relationship between Kuwait and Iraq does not stop at any differences, noting that the discussions have reflected the desire between the two sides to reach solutions close. and expressed Iraq 's intention sincere in moving to strengthen economic and trade relations between the two sides, and said that the issue of taxes and customs was the most prominent discussions that require the development of solutions, being the fundamental obstacles, pointing out that Basra has great wealth and need fifty years to rebuild infrastructure , Calling on Kuwaiti companies to enter into these projects. And the models of Kuwaiti investments in Iraq, he pointed out that a large number of companies invest in the oil sector, led by the company «Kuwait Energy», and other international and foreign companies, but we need companies working in other areas and other commercial sectors. Hashemi demanded to invest in other sectors inside Basra, and all fields, not limited to oil, especially Kuwaiti companies. He pointed out that the economic relations between the two countries in progress is continuing, and wished to be the level of ambition that the parties aim at. He added that new mechanisms have been put in place to attract foreign investment, in addition to the presence of a Kuwaiti consulate in Basra, which will facilitate the work of Kuwaiti investors, as well as facilitate the issuance of visas to business owners, inviting the Chamber and business owners to visit the city of Basra and participate in the annual Basra International Fair.